When it comes to your home you can never have things too secure, and in this day and age there’s no better way to help keep things secure than with a wireless security camera. Not only do these continuously record footage for you throughout the day, but they can be part of a smart home ecosystem that you have set up and can be managed and monitored through the use of a companion app as they’re connected up to your local home network. One of the best options out there is the Nest Cam Indoor Security Camera. Choosing the right home security camera can be difficult when there are so many different brands and price points to choose from. The Nest Cam which was originally Dropcam before being purchased by Google / Nest is a popular brand because they have a reputation for quality hardware, features and cloud services. The Nest Cam Indoor security camera offers a live video 24/7 and with the 130 degrees angle view, you know you will be able to take many pictures within the area of view. The glass lenses are capable of looking at what is happening around your home in 1080p HD, regardless of it being day or night. With Nest Cam Indoor security camera, you get intelligent alerts and cloud recording on a continuous basis. You can customize the camera settings to come up with specific areas where more focus can be put for more specific alerts. It also allows you to make custom clips, time lapses and many more, and also share them. The best security camera is one that remains functional both day and night. 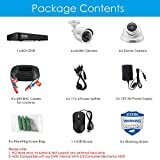 The Nest Cam Indoor security camera is one of them and you will find its night vision capability to be one of the bets that you can find out there today. It is capable of viewing the entire room and not just a few areas. We all want to feel more secure in our homes, especially in terms of protecting ourselves and our loved ones from harm and in preventing the loss or damage to our personal property. There are several areas in which people invest to make themselves feel more secure in their homes, but in doing so there are also several glaring mistakes that are made. Here are some of the areas in which home owners frequently trip up win the effort to feel secure. The worst mistake that any home owner can make in protecting their homes is to feel overconfident in the measures they have put into place. Most of us cannot afford the time or the money it takes to install a foolproof security system, and only commercial properties with a vested interest would want to attempt this anyway. Therefore, any measures undertaken to secure a home will come with their limitations. Many security measures can act as prevention only in the deterrence of the entry of an unwanted person onto your property. Home security cameras are a good example here; if a potential thief sees a camera scanning your property, the odds are very good that he will not attempt foul play. However, in the case of a very determined or professional criminal, a camera may do nothing to dissuade him from entry. In this event, the camera will serve no better purpose than to record events as they happen in order to allow for the authorities to better track the criminal down after the event, they will do nothing to actually protect your property. 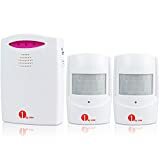 So do not be too secure in your electronic installments; even home alarm systems may not always deter thieves (actually, if you go for a home alarm it is better to use the silent variety, as the criminal will not realize that help is on the way). One of the biggest mistakes in home security that people make is purchasing a gun for that purpose. More people are hurt or wounded because of guns in the home for security than are hurt while attempting to carry out a crime in the home of a firearms owner. Safe storage of your firearm dictates that it be stored unloaded and far away from any ammunition, especially if there are children in the home. Such a measure will render the fact that you have a firearm in your nightstand drawer useless in the event that someone breaks in. In addition, many criminals are familiar with firearms, much more so than the average home owner. Threatening a criminal with a firearm will likely worsen the situation, and not help you out. If security is vital to you and you have more than one camera in operation, how can you simplify your hidden digital video recorders operation? That is where a quad system comes into play. These systems support four different cameras at the same time, saving you the high cost of operating four different monitoring systems. With its superb plug and play interface, the quad system can monitor all four cameras simultaneously, and show all four views on your computer screen at the same time, or if you prefer, you can watch the view of each camera separately. Should you need to use hidden digital video recorders, and you need to have more than one, then you definitely want to consider using a quad all-in-one system. 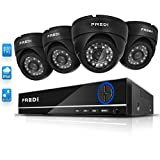 These hidden digital video recorders are great because not only can you operate multiple cameras, you can control them all from one sleek, compact unit. The multiplexer and the recorder are combined, so it does not matter where you place it. Smart doorbell cameras basically have high resolution cameras to be able to clearly see whoever is at the door Some may even have night vision so you can see your visitors in low light conditions. Most have built-in speakers that will allow you to communicate with visitors or to tell anyone at the door that you are not at home. And of course, smart doorbell cameras may also have features that allow you to take a photo or a video of anyone at the door. This could be useful when it comes to identifying illegal entry or suspicious characters that could potentially endanger your home, family and property. A smart doorbell may be simple, but it’s highly effective. Whether you’re away on vacation, in your office or upstairs, you’ll always have the power to answer your door and make it look like you’re at home. The peace of mind you get from knowing you can monitor your home from virtually anywhere makes the doorbell a worthy investment. 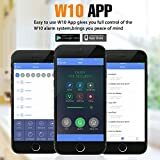 True Wireless & Easy Installation – No wires and cables are required, just download the APP, then connect it to your doorbell, you can have access to 720P HD live video at any time from your cellphone. Smart PIR motion detection and Loop Recording – Whenever any motion is detected, camera sends alert to your mobile phone, the sensitive time is adjustable. It also automatically covers the expired video files, easy to manage the monitoring records. Locking the doors of your business at the end of the day allows you to go home and to enjoy other aspects of your life. When you turn that key in the lock, you expect for your business to stay safe until you return. Unfortunately this isn’t the case for many business owners. There are professionals out there that know how to get a door unlocked and they slip in undetected. It is often necessary to give keys to the building to some of your employees. Occasionally those keys are lost or stolen from such individuals. There is also the issue of disgruntled employees with keys to your business that have walked out on the job or they were fired. It is very expensive to have to re-key all of the locks to prevent any issues from arising due to these types of issues. You can have peace of mind though if you invest in high security key systems for your business. They can’t be duplicated and there are five different levels of security that you can choose from. These changes can be implemented immediately so you won’t have to breach the security of your employees or your business. You also won’t have the high expense of replacing several locks and making new keys all the time due to various issues that do routinely take place in the work place. You can install high security key systems to fit one or two locks or for a building that has multiple sources of entry. The keys can also be designed based on levels of security. For example you can have one employee with a key that gives them access to particular areas of the business. That key won’t work in the locks for more secure locations of the business. Another employee can have a key that will gain them access to all of the different parts of the building. High security key systems are installed by professionals. Make sure you take the time to look into their credentials. Find out how long they have been in business and what their reputation is with consumers. Ask what they know about other businesses in the area that they have installed high security key systems for. Don’t be afraid to ask them for references so you can be sure you are dealing with a business that has your best interests in mind. While high security key systems are going to cost you more than just paying for traditional locks, they are virtually impossible to penetrate. This means all of your business items inside are secure from the outside world. You have worked too hard to make your business a success to allow such security breaches to take it away from you. This is one investment that will really be a benefit to any type of business you may have. Never open up your door to a stranger. People you do not know could have bad intentions or want to get an idea of how many valuable objects you own. You should only open the door to people you were expecting. Solicit word of mouth recommendations from friends, colleagues and family members to find a great home security company or system. Other people are sure to have opinions and experiences to share. Therefore, ask everyone you can in order to obtain the most advice. With thorough advice, the best decision can be made. Professional Burglars claim an intruder Alarm does not put them of. A recent survey has found that intruder alarms do not present any difficulty to professional burglars; the reason is because homeowners often forget to set the intruder alarm or fails to lock their doors and windows properly. Despite the many improvements in home security systems if homeowners fail to use them properly there is little benefit achieved. Almost half of the persistent burglars interviewed for a recent survey said they believed home security has improved over the last 10 years but they also felt that the improvements would not be enough to stop them breaking in. 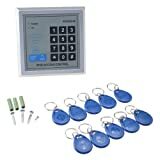 Only 20% of those surveyed said that a good security system was the most common reason they abandoned an attempted break-in, 40% said being disturbed by the homeowner was the main cause of them giving up a break-in attempt and 40% of those surveyed said they would be put off if there was a noisy dog on the premises. 67% of those surveyed said they always followed the same pattern of searching a house once they are broken in, normally starting in the main bedroom, because this is the usual place that valuables are hidden, they then cover the remaining bedrooms and the main living room, this has proved to be the most efficient way of finding valuable possessions. One interesting fact that emerged from research conducted with burglars currently serving jail sentences was that they consider children’s rooms to be the least profitable to search. The average time that a housebreaking takes is as little as 20 minutes, the average age in which the first burglary was committed was 13, and two thirds of burglars prefer to work alone. Almost all professional burglars go out with the intention of committing an offence, that is to say it is planned rather than opportunistic though obviously if a ripe target presents itself they will take that opportunity to steal.